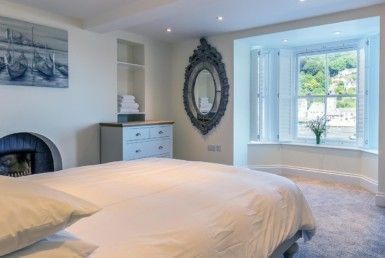 Our range of self-catering holiday apartments and cottages are ideally based in and around Looe, on the South Cornwall coast, making them a great base to enjoy the delights in and around South East Cornwall. Boat trips to neighbouring villages such as Polperro and Fowey set off from Looe Quay. Polperro is a small fishing village 5 miles from Looe, one can enjoy the pretty harbour and mooching around the gift shops and galleries. Fowey has a scenic estuary, winding streets full of gift shops, cafes and galleries. A 30 minute drive you will find Charlestown Harbour, this has been a popular filming destination for the television programs Poldark and Hornblower. A short distance you will reach the picturesque harbour of Mevagissey which is also still a working fishing port. There are a selection of National Trust properties with in easy reach, The Eden Project is a fantastic day out for the family and restored after being neglected The Lost Gardens of Heligan is a beautiful place to visit. The famous Cornish Orchards Cider farm situated in Duloe, is only a short drive from Looe, here you are able to taste the different varieties of cider and purchase what ever takes your tipple. Bodrigan Rd, Looe, Cornwall, PL13 1EQ.